The Academy is dedicated to make sports education available to everyone. Period! Since 1989 the United States Sports Academy has recognized the importance of physically and mentally challenged athletes with the Juan Antonio Samaranch IOC President’s Disabled Athlete Award. We strive to recognize the same importance of online accessibility. In 2018 the Academy launched a web accessibility initiative to provide all of our users a functional, accessible technology experience with our web presence. We work to provide this web page to you making it accessible to everyone. To further this initiative, the Academy administration and web professionals are making progress to meet World Wide Web Consortium’s Web Content Accessibility Guidelines, or WCAG 2.0 AA, as soon as possible. To begin this process, the Academy will audit existing web materials to help the web team determine appropriate appropriate actions to correct any accessibility oversights. This process has begun and more information will be shared, including availability of tools and other resources, to help the web team meet these guidelines. Questions about this initiative should be sent to the Director of Information Technology, at technology@ussa.edu or (251) 626-3303.  For access concerns with a public United States Sports Academy webpage or technology tool, or if you have accessibility suggestions, please contact our IT Department at technology@ussa.edu. All content that is created must be accessible as define by WCAG 2.0 standards. We expect these standards on web pages, videos, and audio content. Acquire software that can scan our web resources to ensure we meet the standards of accessibility and continually recheck our resources. Move our instructional materials to meet and exceed WCAG 2.0 standards whenever possible. We are creating content that will allow downloadable transcripts, audit files, and closed captioning. Partner with vendors that understand the importance accessibility. We choose to work with Canvas and YouTube because of their emphasis on accessibility.